The world’s most famous skyscraper-filled metropolis, New York attracts visitors in their millions from across the globe every year. 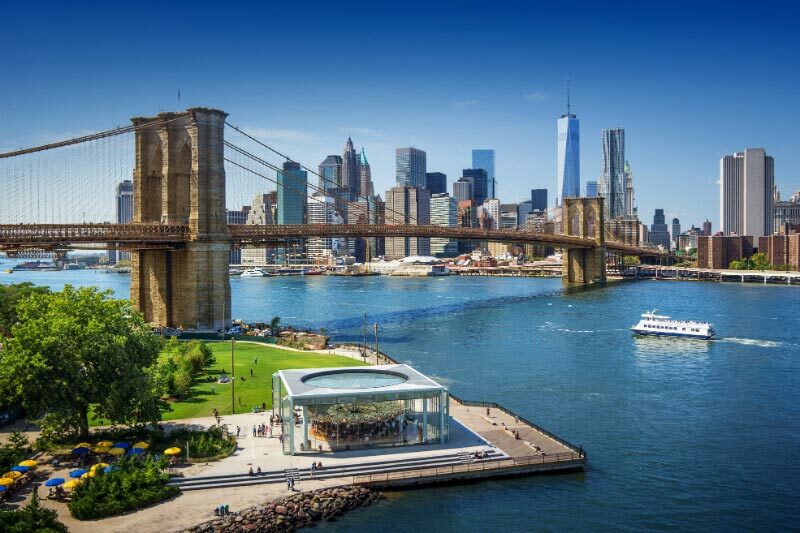 As one of the most culturally diverse cities in the USA, New York offers exceptional and varied cuisine, an abundance of entertainment outlets, budget and high-end shopping opportunities and plenty of history. You won’t fail to enjoy the luxury you deserve on a getaway to the Big Apple, and there’s no better way to start your trip than by flying business class. Here at Just Fly Business, we provide luxury travellers with amazing deals on business class flights to New York from the world’s leading airlines. If you want your unforgettable getaway to commence from the moment you take off, then you should learn more about our fantastic range of business class flights to the USA’s culture capital. Business class flights to New York have never been easier and cheaper to find thanks to our exceptional service and affordable prices. Our mission is to help you get the best deal for your business trip or luxury holiday to New York; this is achieved by using our personal travel consultants that work with you or your company to make your trip comfortable and enjoyable. Business class flights to New York are stress-free; from business trips to luxury holidays, we arrange all the flights, airport transfers, hotels and car hire just for you. This colossal neoclassical sculpture was a gift from France to the USA in the 19th century, and has since gained status as one of the most frequently visited and adored sights to see in the whole of the USA. Often referred to as ‘The Statue of Liberty Enlightening the World’, it is universally recognised as a symbol of freedom and democracy. To find out information and background on the statue then the audio tours are ideal, but the adventure lovers may prefer the ‘Hard Hat Tour of Ellis Island’ as you get shown around old areas of the Ellis Island Hospital, including the infectious and contagious disease wards. Often called the ‘Eighth Wonder of the World’, this immense structure connecting Manhattan to Brooklyn took 14 years and about $15 million to complete. Pedestrians, bicycles and cars can pass over the bridge, with more than 4,000 pedestrians and 3,100 cyclists crossing it each day. Brooklyn Bridge is often featured as a wide shot in setting sequences in films and TV programmes, most famously in Independence Day, I Am Legend and The Dark Knight Rises. One of the most moving and surreal sights in New York, this memorial commemorates the terror attacks on the Twin Towers on 11th September 2001 which killed nearly 3,000 people. Where the Twin Towers once stood, there are now waterfalls on top of the pools which are nearly an acre in size. Inscribed into the bronze plates around the edge of the pools is every name of the people who died in the terror attacks; the victims’ names arranged by those whom they worked with, lived with, sat with and possibly died with. This may not be an easy sight to see, but may be the most beautiful and heartfelt sight that you see in the whole of America. As a national historic landmark, this famous sightseeing spot is one not to miss. A day can easily be spent here walking through a sliver of the 843 acres of land; whether you enjoy natural beauty like the lake and the rocks, or the man made attractions like the zoo or the bridge, this is a place that never gets boring. It is one of the most filmed locations in the world, so if you’re lucky you may witness the next big blockbuster being shot right in front of your eyes. Holidays to New York would not be complete without a visit to Times Square. It is one of the world’s busiest pedestrian intersections, filled with colourful and mesmerising billboards and advertisements, attracting around 50 million visitors annually. The hustle and bustle is unlike anything you’ve ever seen. Both tourists and locals stroll along and embrace the magical atmosphere, visiting the wide range of cafes, restaurants, comedy shows, clubs and more shops than the mind can imagine. Showcasing over 32 million specimens of plants, animals, minerals, rocks, meteorites, human and human cultural artefacts, only a small fraction can be displayed at a given time. The American Museum of Natural History is one of the largest museums in the world, standing just across the street from Central Park. This impressive museum lets you explore its vast grounds to discover and learn about human cultures, the natural world and the universe. Many visitors come primarily for its exciting dinosaur display, featuring bones, eggs, feathers, brains, lungs, nests and babies. In the heart of Midtown Manhattan, the Rockefeller Center is worth the flight to New York just to see this national historic landmark. It is a complex of 19 commercial buildings, with attractions including the iconic ice skating rink, unique shops, cocktail bars, restaurants and private event rooms. For unforgettable views visit the observation deck at Top of the Rock, if you’re tight on time buy a timed ticket to skip the queues. Boasting modern luxury and glamour, Langham Place has 6 meeting rooms available. This 5 star hotel is the perfect venue to host a respectable conference. 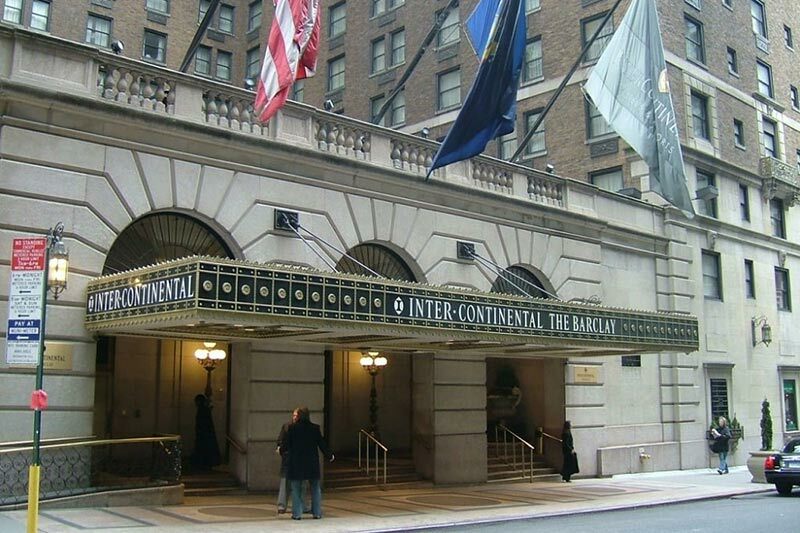 Elegant and chic rooms are available to hire at InterContinental New York Barclay, the classically designed hotel has 15,000 square feet of meeting rooms, including two boardrooms. There are seven technology-equipped meeting rooms at Convene, holding up to 150 people. This venue is perfect for a relaxed meeting, with access to a bar with beer taps, meeting planner stations and a library. Easily accessible from New York with excellent transport links lie the cities of Philadelphia, Atlantic City, and Boston. These cities offer great alternatives for places to stay if attending a conference in the area. 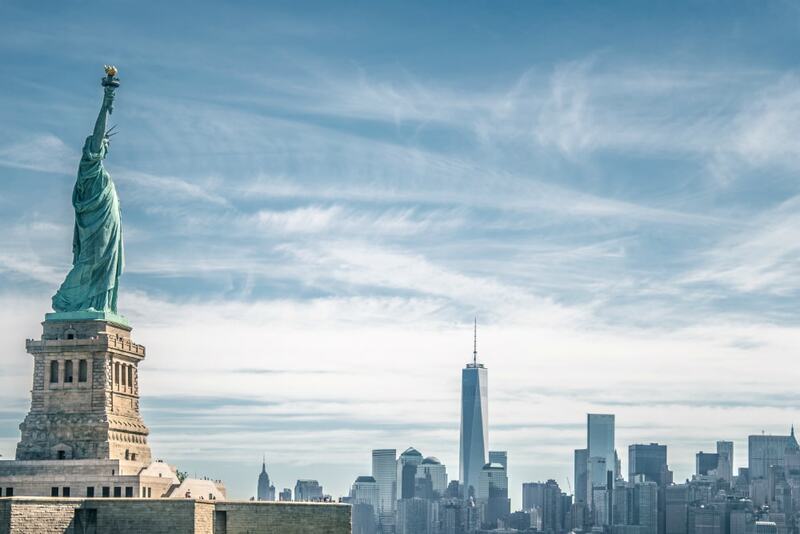 Whether you intend to visit historical sights such as the Statue of Liberty or observe panoramic views of the concrete jungle from the top of the Empire State Building, you won’t struggle to fill your time with adventures while staying in New York. 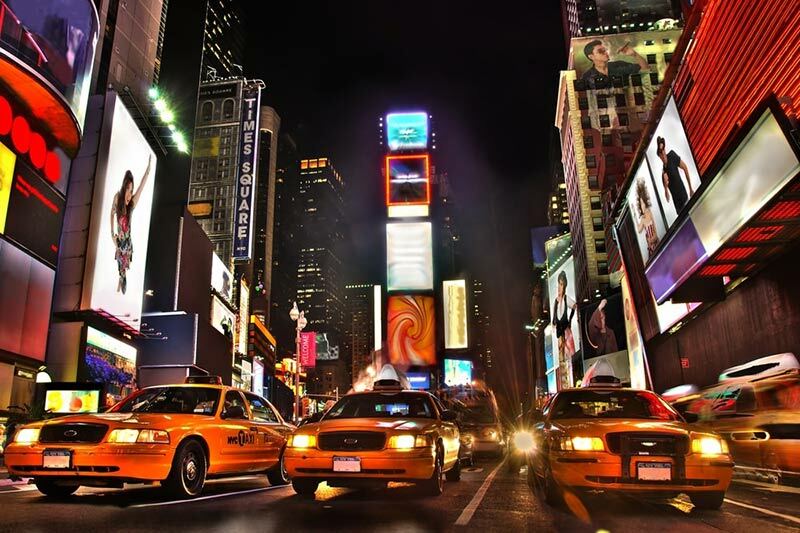 The easiest and fastest way to get to this vibrant city is to fly, and you can enjoy a long-haul flight with all the luxuries of a five-star hotel by booking business class flights to New York. During your journey, you’ll fill your stomach with delicious, chef-cooked meals and premium champagne. When you’re not resting up on your fully reclining bed, you can watch the latest blockbusters, stay in touch with people on the ground and enjoy a vast array of games using your own private HD TV screen. Our travel specialists can do more than just help you find affordable business class flights to New York. They can also organise chauffeured cars, vehicle rentals, hotels, tours, parking, transfers and much more, removing the stress from planning your urban adventure. Get in touch for recommendations on which of our high-value deals on business class flights to New York suit your needs today. Currency = US dollar (USD). Fly from = All Major UK Airports. Hottest months = June, July and August.